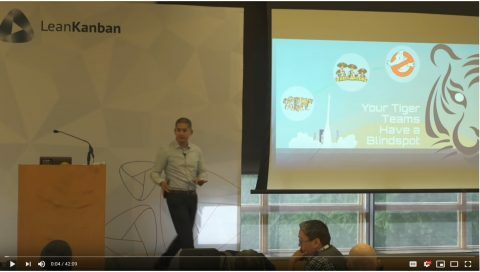 Agile and Scrum practitioners don’t necessarily have the time or the budget to attend conferences, but even if you miss the personal touch and the networking feature that come with participating at one of these conference, you can enjoy the wisdom of the presenters watching their recorded presentations on YouTube. 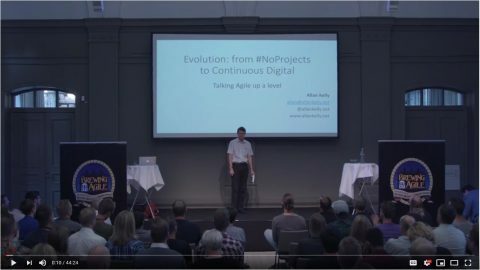 If this article is focused on the Agile and Scrum conferences video available on YouTube, future articles will also present other material available on YouTube and conferences videos hosted on other platforms like Vimeo. Use the contact form to tell us about some Agile, Scrum, Lean and Kanban conference publishing good videos on YouTube and that is missing from the list below. The following conferences are included in this article: Agile Camps, Agile India, Agile on the Beach, Agile Serbia, AgileByExample, Aginext, Brewing Agile, Lean and Agile Middle East Summit, Lean Kanban North America, Path to Agility. AgileCamps are one-day forums taking place across the USA for leaders of all levels to improve Agile skills and gain knowledge as they learn new practices, network with other professionals, and engage in hands-on exercises. Agile India is organized by Agile Software Community of India, a non-profit registered society founded in 2004 with a vision to evangelize new, better ways of building products that delight the users. Videos present sessions, panel discussions and interviews with some of the presenters. Search for #AgileIndia on the YouTube channel to find the videos. Since 2011 Agile on the Beach has established itself as a world class conference for Scrum and Agile software development. The conference takes place in Cornwall (UK) has sold out in the last four years despite increasing capacity. Agile Serbia is a conference about Agile and Scrum that takes place in Belgrade, Serbia. Videos present sessions, panel discussions and interviews with some of the presenters. AgileByExample is a Lean, Agile and Scrum conference taking place in Warsaw, Poland that helps you learn Agile on live examples. Videos present sessions, lighting talks and panel discussions. 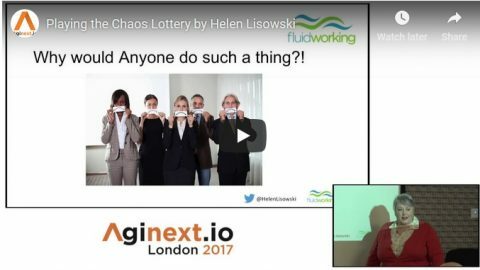 The Aginext conference in London spends two days dedicated to the future of Agile, Lean, continuous integration, continuous delivery and DevOps transformations. Aginext is the first conference of its kind focused on helping seasoned agilists to feel re-energized in your cultural and technical transformations. Lean and Agile Middle East (Agile ME) is a community organization founded by a group of Agile enthusiasts to promote Lean, Agile development principles and practices in the Middle East. The Lean Kanban North America conference features the state of the art in Kanban, drawing from the real experiences of hundreds of organizations worldwide. The Path to Agility is conference that takes place in Ohio with presentations from national and regional Agile thought leaders. It provides session content focused on a mix of business, technical, and/or management topics.